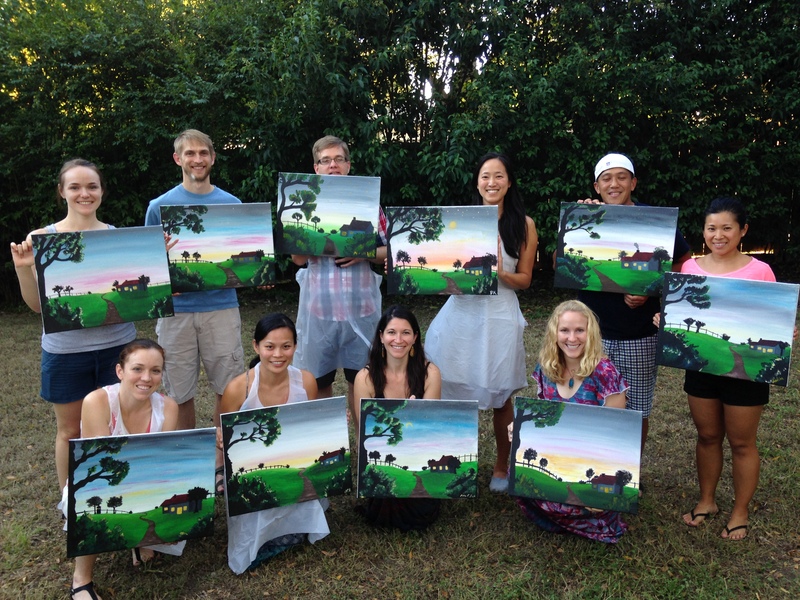 For my birthday, I bought a Groupon for a small, on-location painting party from Personal Picasso. 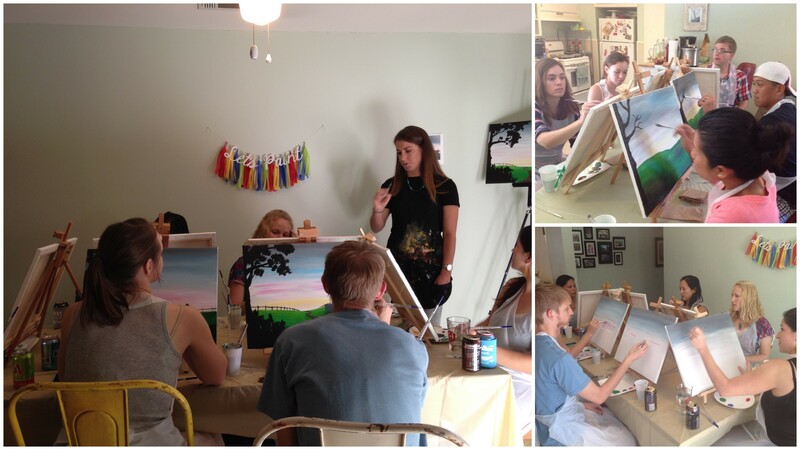 They come to your house, set up the painting supplies (canvases, paint, brushes, aprons), and teach you how to paint one of their pieces. I highly recommend it (although if you go with Personal Picasso, the best way to get a hold of Charli is by text or facebook). I provided a few snacks and punch and friends contributed more goodies. The Jalapeno Corn Dip from Lovely Little Kitchen was very tasty and I would make it again. I tried making mini biscuits using Window on the Prairie’s recipe, and they turned our well but not drastically more delicious than canned biscuits. The Apple Punch from Passion for Parties with an optional vodka addition was just ok. I made a little banner using some tissue paper and my Cricut. Here’s the tutorial I used to make the tassels (look at the pictures more than the words). 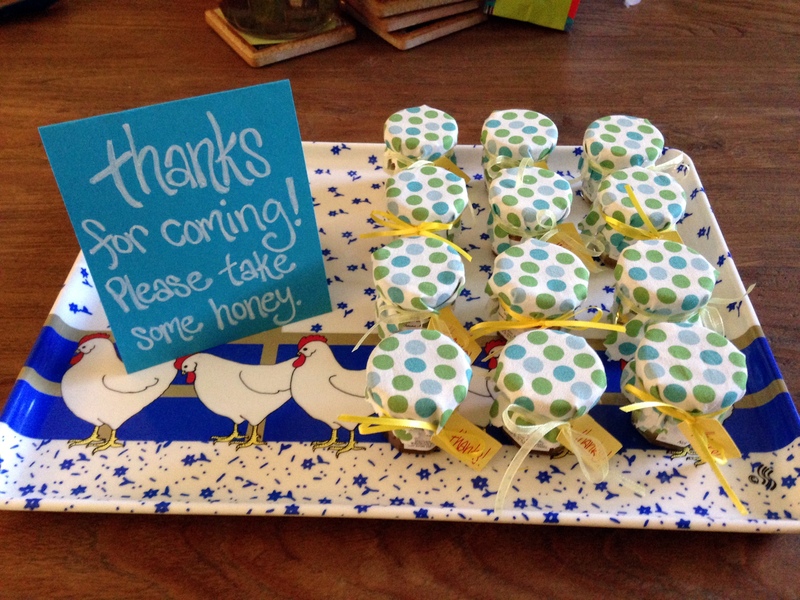 Since I had honey leftover from a baby shower earlier this year, they served as my party favors. 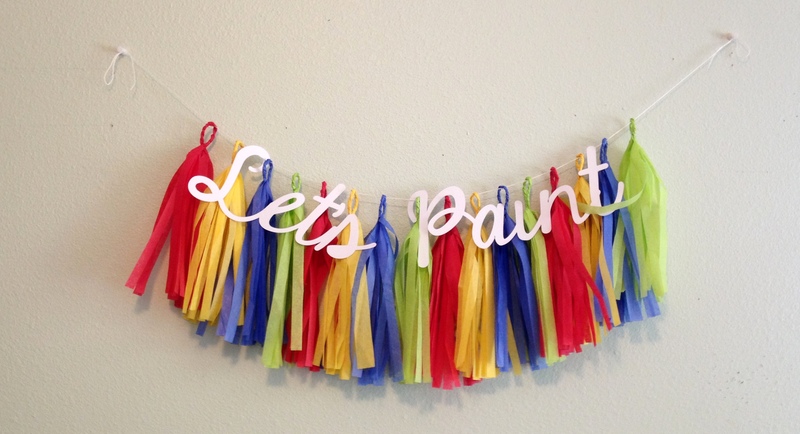 This entry was posted in Crafts, Food, Parties and tagged Painting party, tassel banner. Bookmark the permalink. 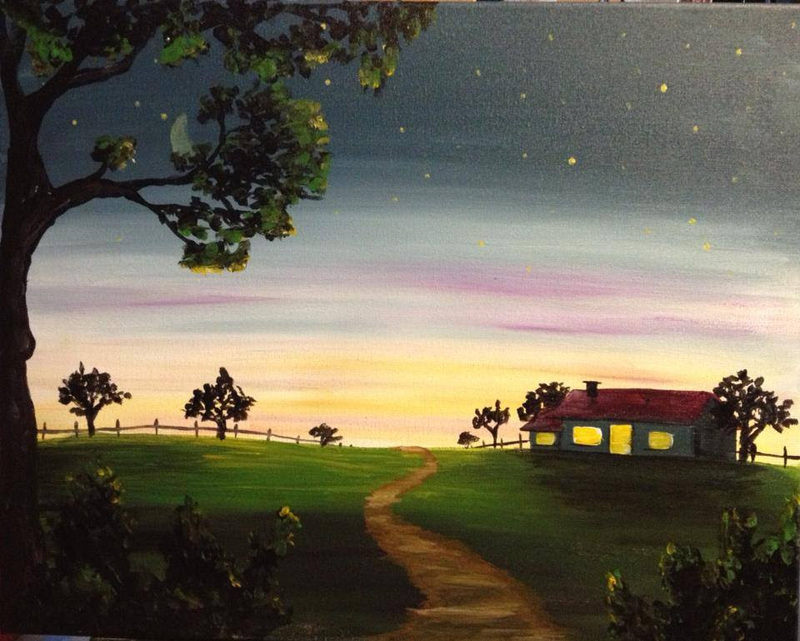 I love how you all painted the same thing but it all has its own character! So sweet! I love Holly’s determined face. Happy belated, Linda!